Is Facebook capable of building a phone? Almost certainly. Should they? Yes. That's why Henry Blodget is so wrong about how Facebook shouldn't build a phone. It reminds me of a 2007 article by Matthew Lynn for Bloomberg, declaring that the Apple iPhone would fail as a late, defensive move. I am one of the biggest fans of Apple, and the iPhone and iPad are by far the best computing experiences I've ever had. But I'm not particularly happy about the current state of computing. Great user experience comes at a cost, but the cost these days is higher than I care for. The trains run great in a totalitarian state, but is that worth the loss of developer freedom? Blodget says that building hardware is hard -- but if we remember correctly, Apple was a disaster of a place just 12 years ago, floundering at hardware, software, and most everything else. In 2000, the idea that an American technology firm would be the most dominant electronics brand in the world in 2012 was absurd. Apple built its abilities from a place of great weakness -- really near death. Facebook's biggest asset is its ability to hire and attract the best talent in the world. This was also what Apple has executed on perfectly since its return to prominence. At both places, there is a strong hacker culture and a true belief that what they're doing is the most important, society-changing work in the world. The "ability to build hardware" is not some esoteric magic. It is a knowhow embedded in the brains of smart engineers -- engineers who have skills so valuable that they are mobile and they will seek places where they can have maximum impact. Great products are built by talented human beings who will go where they know they can change the world. Outside of startups and a few great companies like Apple or Facebook, there are few places where "change the world" is really something you can wake up to. The stakes for tomorrow's computing paradigm is incredibly high. 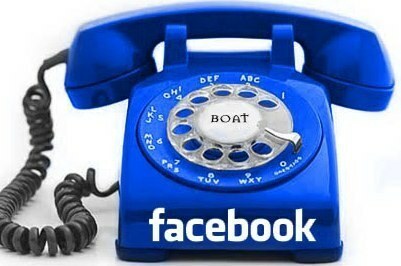 I, for one, hope Facebook does have a phone in the works, and a damn good one too. They've got a visionary founder who is young and in charge and can ship great technology. They're one of the only companies who have the capital, talent, and capability to do it.